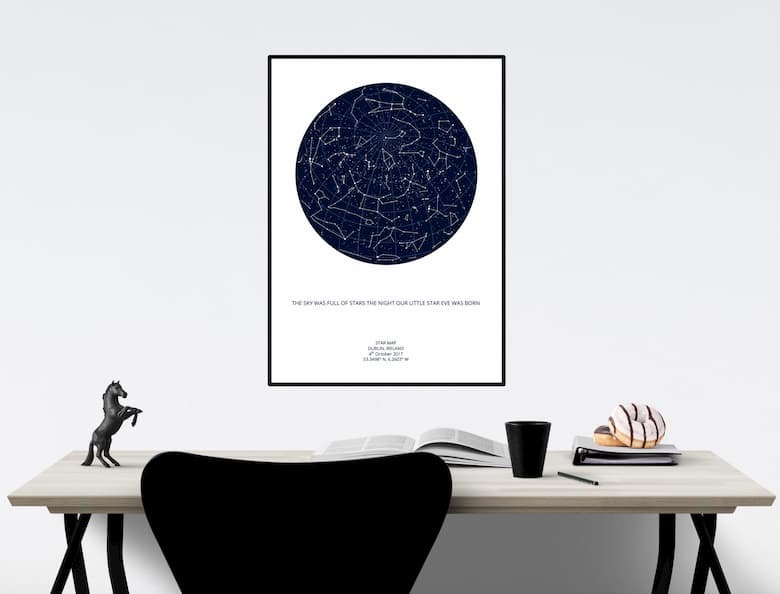 What size is the night sky poster? 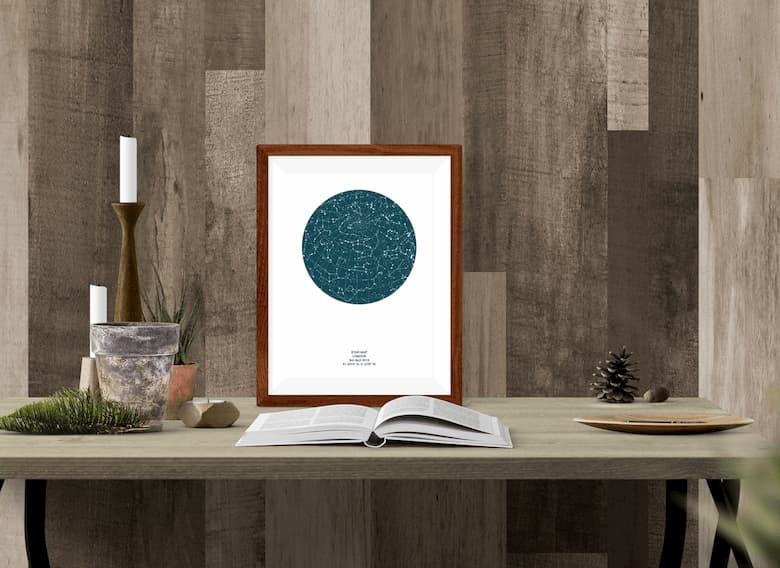 Our most popular Night Sky Print is the A2 sized poster. In centimeters that is 42x59.4 cm and in inches it's 16.5x23.4". The A2 Star Map is the biggest print we sell. It's twice the size as the A3 Star Map and 4 times the A4 print. as the A4! The soft matte finish of the black metallic frame complements the matte texture of the print to perfection! Each framed print comes with free DHL Next Day Delivery to the UK! Our star map builder also let's you preview how the poster will look when choosing between our frame or our hangers. A3 Personalised Star Map's dimensions are 29.7 x 42.0cm or 11.69 x 16.53". 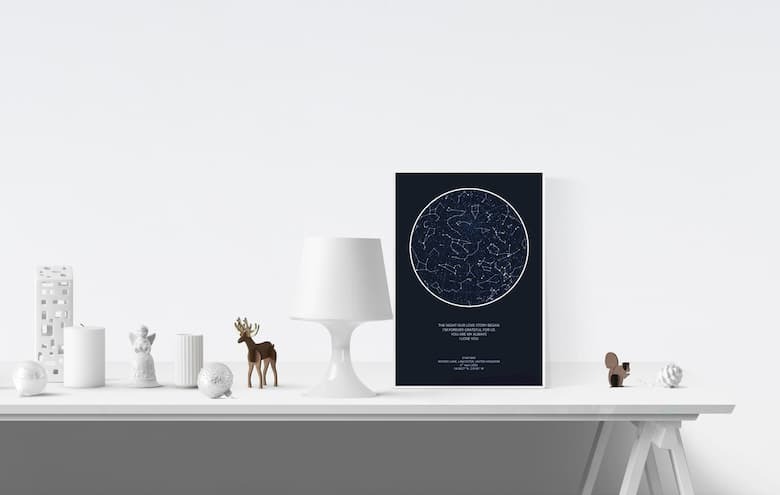 Due to its smaller and more versatile size, the A3 Night Sky Poster can be placed on your desk/table or could be hung on the wall next to other prints. To create your own A3 Personalised Star Map, click here! If you wish to purchase a frame for your A3 poster, we recommend this frame from Urban Outfitters. The smallest and most affordable print we sell, the A4 Personalised Star Map measures 210 × 297 millimeters or 8.27 × 11.69 inches. You have the choice between 2 frame colours: black and white that come with free 1-3 working day delivery anywhere in the UK! The frames have a soft satin finish that can either hang on the wall or stand on the table. To create your own A4 Night Sky Print, click here! 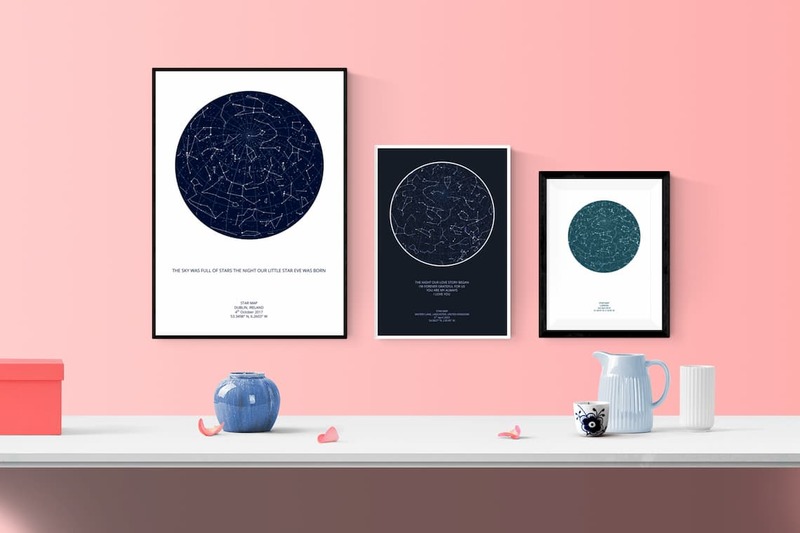 SALE: Use code SMALL30 for 30% off our A4 Night Sky Prints!